I’m contacting all of you to invite you all to the Jacksonville Public Education Fund’s ONE by ONE Convention on May 6. We have recruited a lot of students for this but now need participation from teachers and parents. If we could have representation from various schools that would be great. There are schools attending and I wouldn’t want any school to miss out if at all possible. I have attached the flyer and the program and you can go to www.jaxpef.org/convention to register. 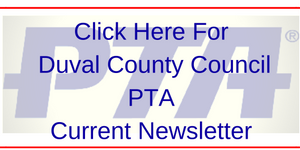 Will Duval PTA be able to send this out to all of the PTA chairs? Please let me know if this is possible.